Our Stars programme strengthens young people for that tricky transition into secondary school, through training and supporting older students to mentor and walk alongside the new Year 9’s. Stars is the next step of a students journey as they move on into secondary school. It’s a 12-month mentoring programme that supports, motivates and positively reinforces Year 9 students during their first year at secondary school. There are programme elements that Stars students participate in which provide positive opportunities. Our Stars programme creates positive success stories with a number of students. Some shining reviews from previous Stars students. Stars costs approximately $600 per student per year, but is offered at no charge to the student. 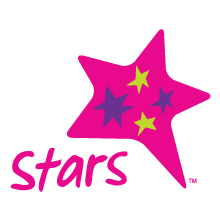 Stars is delivered into schools by Community Partners under licence from the Graeme Dingle Foundation.